BLOCKS STROKES FROM THE ATTACKER. 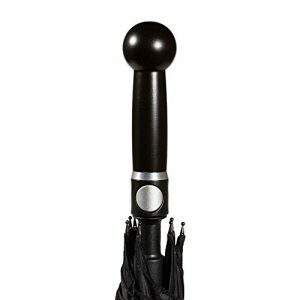 This umbrella conforms to the length of a Hanbo, baton or expandable baton.You will benefit from the element of surprise. BEAUTIFUL GERMAN HARDWOOD HANDLE assembled in the USA.